The tourist season is fast approaching! As a good lord, you came to the Freak Shop to buy enough to fill your mansion. Find the pieces that will leave horrific memories for your visitors! 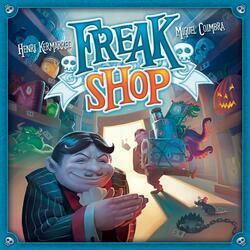 Freak Shop is a card game for 2 to 5 players, from 8 years old, lasting 20 to 30 minutes. The cards represent the scary things that any good owner of a strange mansion must have in his collection. Players start with 4 cards in their Mansion (personal space) and cards are available for all in the Shop in the center of the table. 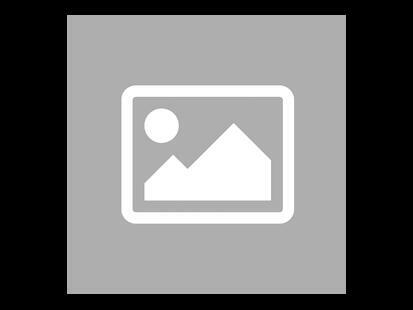 In turn, you make only one exchange, and for that you have two options: Sell at the right price: you exchange any number of your cards for a given total value, for any number of cards with the same value. Make a good deal: you exchange a series of cards of the same value (e. g. one, two, three,... value cards 2) for as many cards of another unique value (e. g. the same number of value cards 8). Before the game begins, you randomly draw 3 objectives out of the 12 existing ones. Your goal is to finish with the Mansion reporting the most points in terms of the objectives drawn. To do this, you will need to make the best exchanges between the cards in your Manor and those available in the Boutique. In part of Freak Shop, you will try to take advantage of the best opportunities available to develop your Mansion, while trying to best meet the objectives. Good deals allow you to grow in value, and exchanges at the right price to increase the number of cards. Since it's all about exchanges, the whole point of the game is to know which cards to use for exchanges and which ones to keep to score as many points as possible!